Mystery of the Ancients: Deadly Cold Collector's Edition is rated 4.1 out of 5 by 50. Rated 5 out of 5 by Majestyx12 from Snowy Winter Tale that is CE extras light but longer game I think the funniest part was the baby ice tiger or cub. I got the biggest kick out of that. Next I liked collecting all the Hare, I call bunnies. I liked collecting the figurines. I liked the ice giants or ice warriors. 25 Hare and 6 Figurines. I bought this May 2017 and I just got around to it and finished it yesterday. It came out Feb 2015. I liked the story, gameplay, hops and relaxed puzzles. My favorite hops are the images on the frosted glass window and the stain glassed window. The puzzles I liked are the jigsaw puzzles, differences, count the animals in the picture. I liked watching the ice giants jump when I swapped them to make a continuous line. The bonus chapter is about what happens afterwards. 7 chapters + Bounus, 24 concept art, 15 wallpaper, 6 music and achievements. Rated 5 out of 5 by AforAllie from Awesome Game This game has great graphics and sound effects. The artwork is beautiful and there is good attention to detail on all the objects. Everything is beautifully decorated. The story is engaging and the characters make you want to help them. It would have been good if the puzzles had been harder. Rated 5 out of 5 by grandmacira from Best game in Years!!!! I really loved this game!!! The story line was very entertaining, it is about the best story line, encountered in 10 yrs of Big Fish Hidden object games!! The story was brief and too the point, not too much reading, just pure entertainment. packed full of a variety of games within the game. I recommend this game! Rated 5 out of 5 by tutortime from Loved it, worth the money. Loved the game. It was long and the graphics were very good. Also loved the characters in the story. The CC was worth the money as it was also long and had all new scenes and story line. Rated 5 out of 5 by idahodogs from Really got me involved I know when a game is really good because I get anxious to get the characters out of trouble and I feel like they are watching me. I'll let the other reviewers explain what the game has which is almost everything. I've played this game twice and I still get excited when I play it. It was a good length and the bonus game was good. And, it didn't have any snakes in it which has been my pet peeve lately. The HOP's made sense. Not a lot of nonsense items thrown in. I played it all the way through without stopping. I highly reccomend it. Rated 5 out of 5 by boatgirl4347 from OH M G!!!!! I AM AMAZED!!! EVERY ONE SHOULD GIVE 5 or 10 STARS!!! BEAUTIFUL COLORS THE ELK ? AND CARRAIGE IS NOW MY SCREENSAVER I LOVED EVERY EVERY SCENE SMOOTH PACE NO PROBLEMS GREAT MUSIC GREAT HOS LOVED BRINGING PUPPIES TO THE BEAUTIFUL MOMMY MINI GAMES SUPERB!!!!! !THE BONUS GAME WAS AWESOME!!!! WISH THERE WERE 50 DOORS TO GO THROUGH I CANT SAY ENOUGH FOR THE TALENT THAT WENT INTO THIS SPARKELING DIAMOND!!!!! THANK YOU MG I WILL BUY EVERY GAME YOU MAKE!!!!! Rated 5 out of 5 by gryhndlvr from Nice game Yes, we all have seen this story before but it had a different approach and I needed to know the truth. That is why I had to buy it, besides there is an awesome deal from BFG this weekend. Graphics are beautiful and there is a lot to do here. Collectables as usual and a good map. It has a nice flow and you never have too much inventory so you really don't forget what to do with it. HOGs are somewhat interactive and minigames are easy but fun. This is a well done game. Rated 5 out of 5 by tomnsteff from Beautiful graphics, Really fun to play. It is nice to find a Hidden Object/Adventure game that is NOT "dark" (in theme). The graphics are beautiful, the clues are not frustrating. More of a clue/task game than hidden object, but I couldn't stop playing, as a new room would open, each one so unique. Rated 5 out of 5 by skullfun from Another great edition to Mystery of the Ancients series!!! I wasn't especially excited about the concept of the storyline in Mystery of the Ancients: Deadly Cold, but I do think that it flows very well throughout the game. With a pleasant plot, and interesting events every now and then, Deadly Cold is a captivating game. Graphics wise, this fourth game in the acclaimed franchise continues to deliver. The graphics are unarguably cartoons-like; however, they balanced depths and bold colors exceptionally well that all the locations look absolutely stunning on the screen. Additionally, the character animations and cutscenes are extremely convincing as well. Despite the solid story and strong presentation, HOPA fans might be disappointed by the level of challenge in Mystery of the Ancients: Deadly Cold. The game is indeed a very busy game, with tons of tasks to do in a single scene. But for some reason, finding my way from start to finish did not require much brainwork. The majority of the game involves walking back and forth through locations and completing simple, tasks. 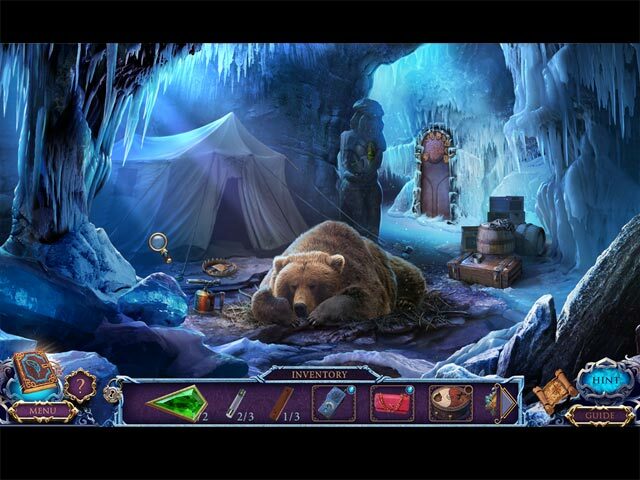 Nonetheless, the level of challenge was outweighed by the impressiveness of the game's puzzles and hidden object scenes. 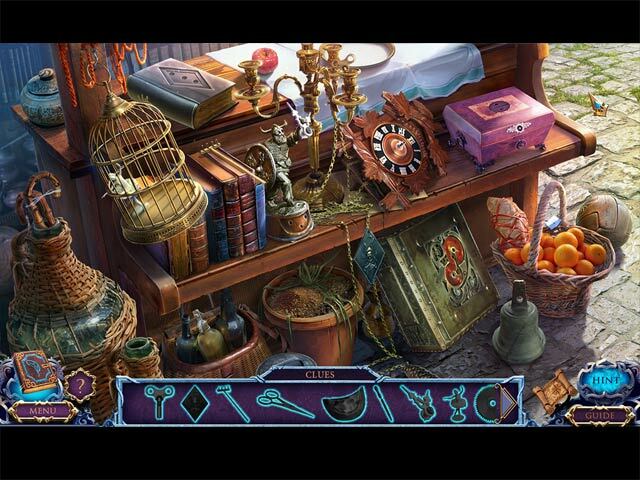 The hidden object scenes are beautifully drawn, nicely executed and come in a variety of modes. Moreover, the puzzles are very smart and, perhaps, some of the most creative ones I have seen in a while. 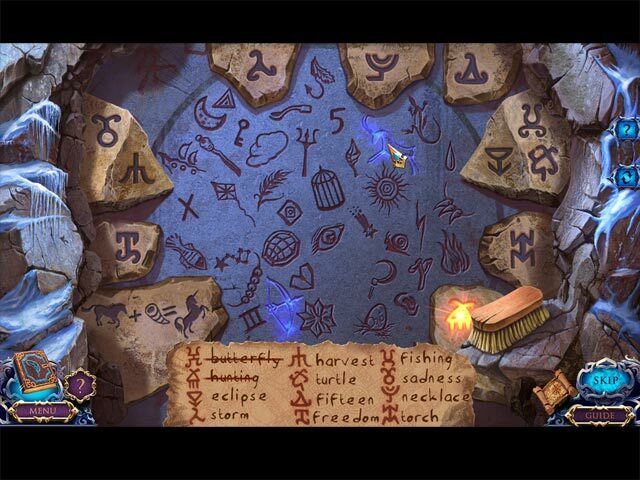 The main game of Mystery of the Ancients: Deadly Cold took slightly more than 6 hours to complete, while the bonus chapter was an hour long. 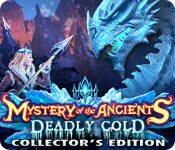 Though not groundbreaking, Mystery of the Ancients: Deadly Cold is definitely a fun game presented through awesome visuals and innovative puzzles.